Ok. I can do this. I know how to do this. I was reminded of that today when someone I’ve known for a while – someone who knew me at my heaviest – asked me for advice about weight loss. I really don’t feel as if I’m in any position to give other people advice about healthier living – yet I get asked a lot (although quite a bit less than as I was actively losing large chunks). I DO know how to do it. I do it. I’ve done enough to lose 80ish pounds. I’m doing enough to at least maintain that. I have some sort of all or nothing mindset going on and I don’t think it’s doing me any favors. Breakfast this morning was simple and quick. 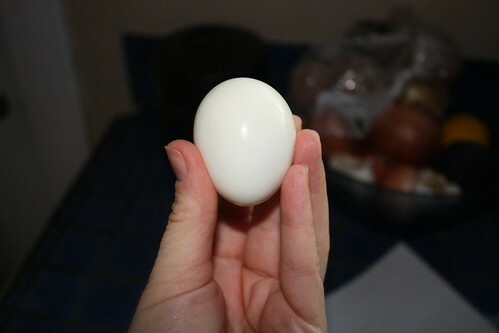 Primarily, it was a hard boiled egg. 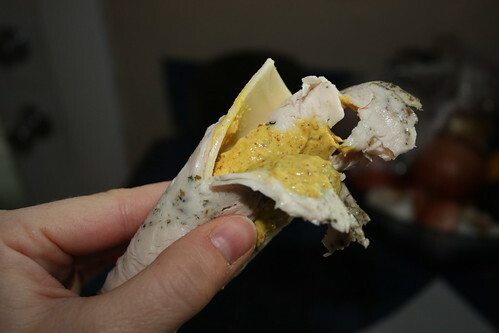 I also rolled up a piece of some sort of herb chicken, a slice of swiss cheese and some spicy mustard. 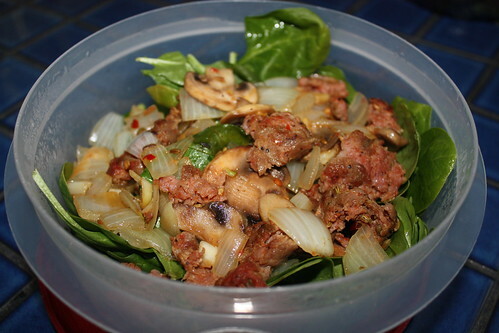 Jon cooked some italian sausage, onions and mushrooms for our lunches today, which he put on top of some spinach. I heated it up in a microwave and somewhat cooked the spinach – was good. 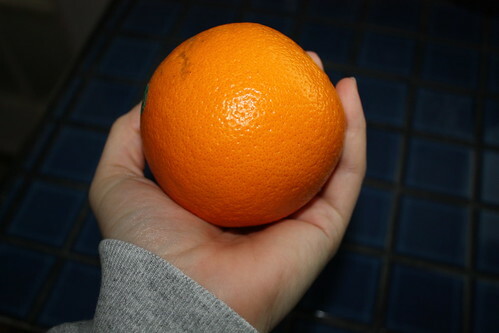 I also brought along an orange. I had a really long day. I went straight from a class to working out and then straight home to eat dinner that I really enjoyed because I was STARVING. I did an hour of pilates and an hour of training tonight and am not going to be able to move tomorrow. 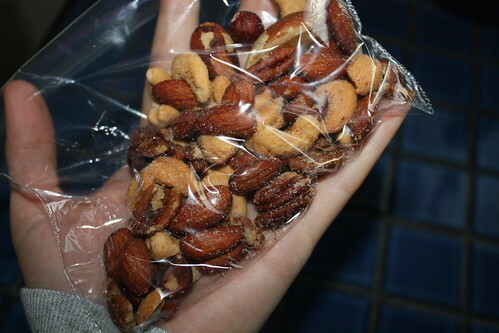 There is one thing bad about reading your blog……it makes me hungry! The pictures of the food look so good. 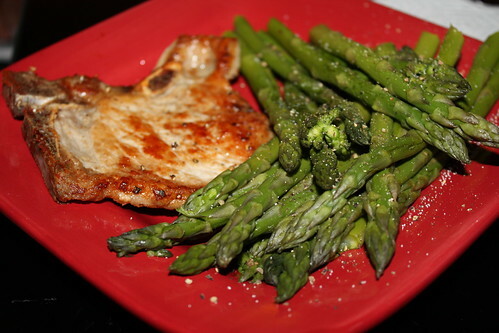 I haven’t had a real home cooked meal since I was at your house. I miss Ron’s cooking.